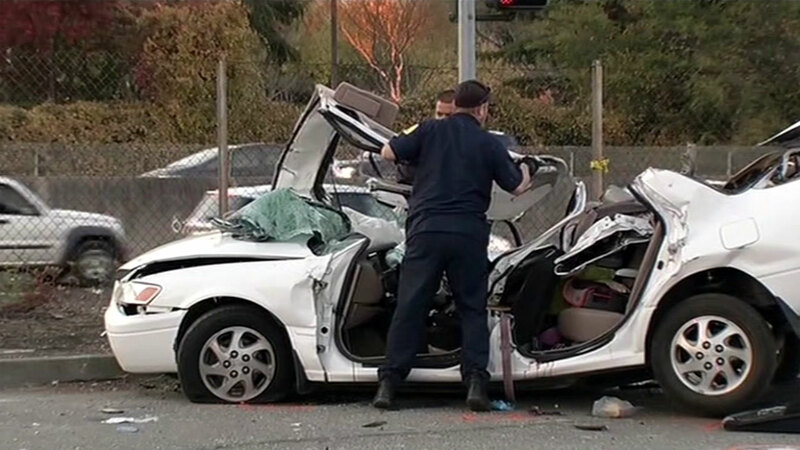 DANVILLE, Calif. -- The driver of a vehicle involved in a fatal crash has been identified as Livermore resident Hannah Meecham, 19, police said. An officer noticed Meecham at 1:09 a.m. driving a white Honda recklessly on Sycamore Valley Road in Danville near the southbound on-ramp to Interstate Highway 680, according to police. Officers tried to stop Meecham when she drove over a curb and onto the freeway, police said. Meecham led officers on a three-minute pursuit before she exited onto eastbound Crow Canyon Road in San Ramon, police said. She doubled back at the Iron Horse Trail crossing and then drove south onto Camino Ramon, according to police. She was driving fast when the Honda left the road and struck a tree south of the intersection with Bollinger Canyon Road, police said. Meecham died at the collision site and two other passengers, a 19-year-old Livermore woman and a 37-year-old Livermore man, were taken to John Muir Medical Center in Walnut Creek with serious injuries, according to police. Police later learned the Honda had been stolen from Dublin, police said.